Hearing loss symptoms can be subtle and difficult to recognize at first, especially as the brain works to compensate for them. Not everyone has the same symptoms, and not everyone reacts to those symptoms the same way. This is why it can be very difficult to recognize when hearing loss has become a problem; even by those closest to you – or you yourself. When you have hearing loss, your brain will work harder to make up for it and decipher what people are saying. 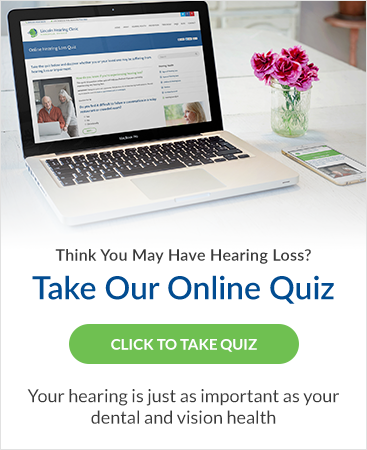 Because of this, and since hearing loss is often gradual, you may not realize you're even having trouble for some time. The early symptoms will often be mistaken for noisy environments or even just by having the TV turned up louder than it should be. While many regularly visit the dentist or optometrist, we often ignore our ears. With regular checkups, many hearing health problems can be easily avoided or curtailed. Contact us today to book your hearing checkup and get on the path to better hearing health.